I just returned home from Chicago and another enjoyable learning experience at the RPG & DB2 Summit. This was the fourth consecutive Summit for me as a member of the session speakers group. I consider it an honor and a privilege to be teaching alongside people like Jon Paris, Susan Gantner, Paul Tuohy, Scott Klement, Barbara Morris, and many others. Each Summit has been very beneficial to me, and I suspect it is the same for others who attend. Meeting and talking with the conference attendees is a treat for me. These are very bright people who are planning and accomplishing impressive projects for companies investing in their training and education. I encourage IT Jungle readers to visit the System i Developer website to read more about the Summit happenings, after you read these few observations of my own. In case there is any doubt in your minds, IBM i is under attack. Numerous attendees referenced pressure in their organizations to replace their Power servers with something that people perceive to be a more modern platform. This is an unfortunate situation, but from what I’ve seen at the Summit events it’s clear that IBM i professionals are not throwing in the towel. A good example of that was the iAdvocate session, which is one of the top-rated sessions. Von Enselman led a very lively discussion during which attendees shared their experiences and expressed their hopes. (Enselman writes a blog on the iCommunity website. You can get an earful of her advocacy enthusiasm at this link.) Those who work with IBM i know its strength as a business system and are more frequently advocating for the system to be modernized rather than replaced. I spoke with one attendee who expressed his hope that IBM would not abandon the platform the way Hewlett-Packard abandoned the HP3000. He’s not the only one who wants IBM to continue investing in the platform. The interface is really all that matters to end users. Non-IT people don’t know anything about computer programming or database architecture. They only know what they see, and what they see is a non-intuitive, text-based interface. If we modernize the interface to our systems, we have good reason to believe that the calls to dump the i will go away. Several vendors specializing in IBM i modernization were present to share their “GUI-fication” wares with the Summit attendees. I was pleased to see many younger i professionals in attendance, and I was especially pleased to see students from Gateway Technical College and Muskegon Community College. I commend Jim Buck and Char Parker for working so hard to prepare these students to support the IBM i platform. As much as it pains geezers like me to hear it, the days of specialization are over. A programmer used to be able to make a living knowing RPG, CL, DDS, PDM, SEU, SDA, and maybe a bit of SQL. The world has changed. Developers have no choice but to learn other types of programming. Fortunately, the Summit provided opportunities to learn about “new stuff” such as PHP, Node.js, RDi, HTML, XML, Web services, and JSON. To call this event the RPG & DB2 Summit is a bit misleading, because the speakers and vendors covered numerous other topics. I am not advocating that we abandon RPG and CL. Those workhorses are still the fundamental building blocks of our software systems, and will continue to be so. I am only saying that we must supplement them with other technologies where it makes sense to do so. Fortunately again, there were plenty of sessions for RPG programmers. IBM i professionals need more than technical skills. As has always been the case in all areas of life, people skills are necessary for success. In her keynote address, Roxanne Reynolds-Lair challenged attendees by sharing how various people skills and personal integrity had helped her achieve success as a CIO. I relate to all five of the skills that she emphasized, but two especially resonated with me–the importance of learning to communicate and personal integrity. My experience is that the person who succeeds is not necessarily the one with the best case, but the one who can best expresses himself. As for integrity, I believe in doing the right thing because it’s the right thing to do. Even though she’s retired now, I hope that Roxanne will be giving that speech frequently in the years to come. I received numerous compliments and expressions of appreciation for Four Hundred Guru, the newsletter I edit. I heard over and over how a simple Google search led someone to an article that contained the solution to a problem. I’m glad the effort our authors put into these articles helps IT professionals do their jobs, because that translates into improving the lives of end users. Those with whom I spoke appreciate our coverage of newer technologies, such as Ruby on Rails, but the topic they most expressed appreciation for was SQL. I did not speak with anyone who is not using SQL in their shop. Speaking of SQL, I was not surprised to see that DB2 sessions by Tom McKinley and Kent Milligan were well attended. Among the database sessions that I attended was Tom’s presentation on meaningless keys (or as I call them, surrogate keys). I covered this topic once in Four Hundred Guru, and I was thrilled when Tom showed us an advantage of meaningless keys that I had not considered. I may have to write a follow-up to my previous article. I was very pleased to learn that several COBOL shops send their people to the Summit. I should not have been surprised. After all, the vast amount of information coming from database experts like Kent Milligan, Tom McKinley, and Paul Tuohy applies equally to COBOL shops and RPG shops. COBOL programmers need to know the CL enhancements that Guy Vig spoke about. Even many of the RPG topics apply to COBOL, with only a change in syntax required. On our drive home, my wife and I left the Interstate in southern Illinois and traveled U.S. Highway 45 back to our home in Mississippi. 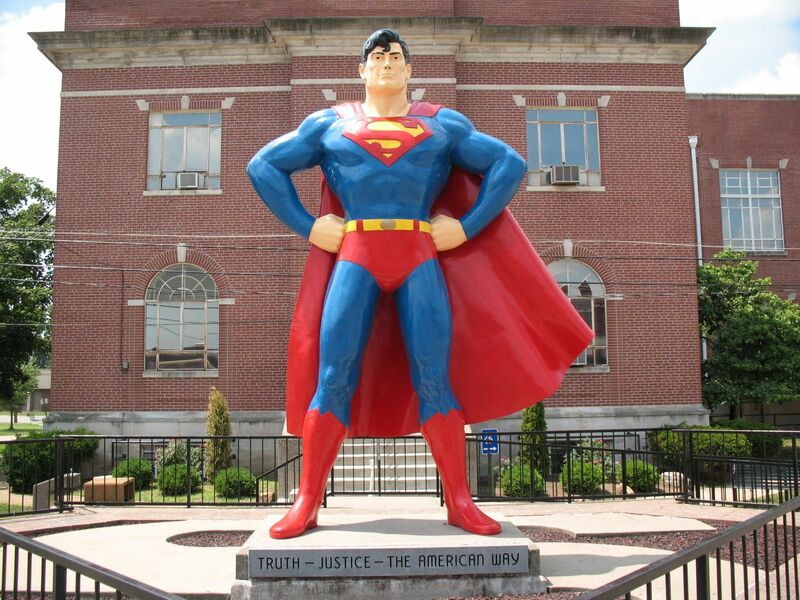 We saw much of interest, including a giant statue of Superman in Metropolis, Illinois. This is a good reminder that life can be more interesting and rewarding when we leave the beaten path. Attending the RPG & DB2 Summit is a good way to leave behind the day-to-day “same -old same -old” and be exposed to something different. I like the Summit because I meet people, I renew friendships, and I learn a lot. This was my fifth Summit, and I’m already looking forward to attending the next one, which will take place in Grapevine, Texas, next March. Ted Holt is Senior Technical Editor of Four Hundred Guru and a senior software developer with Profound Logic Software. You may contact him via the IT Jungle Contact page. Rocket Software: Mobile app development and deployment solution for IBM i. Download FREE trial!